CSA Kids Sports & Arts Campus at 4113 Whitney Street that we proudly operate today. During these many years we have continued to renovate facilities and expand our curriculums to meet the needs of todays young people. In addition to the programs we began with, recreational gymnastics and dance, we also offer competitive teams, tumble n' tramp, preschool programs, youth fitness ninja, swim, workshops, special camps, grade school outreach programs, daycare outreach opportunities, field trips and birthday parties. You should create the LIFETIME FITNESS HABIT in your child. Of course, students may think they are simply learning gymnastics, dance, swim, cheer, pom pon, tumble n' tramp, ninja or preschool activities. But we know that they are learning something much more important, a LIFETIME FITNESS HABIT. They are HAVING FUN training strong, flexible muscles. They are HAVING FUN learning to take responsibility for their own actions. They are ASSOCIATING FUN with fitness! Under the CSA Kids roof, a student can experience many art forms. Students with a variety of talents and/or desires can grow and learn. Besides sheer enjoyment, CSA Kids programs benefit the child physically, mentally and socially. Physical benefits include: strength, balance, flexibility, rhythm & coordination. Mental benefits include: discipline, persever-ance, courage, self-confidence and self ap-preciation. Social benefits include: helpful-ness, group pride and sportsmanship. We believe children's activities should be viewed as a tool to help kids grow into happy, healthy, responsible adults. CSA Kids offers a unique way to celebrate your child's birthday. Gymnastics, Swimming, Cheerleading, Rock Star, Princess and Ninja parties. It's an ideal "no work" for Mom and Dad party. 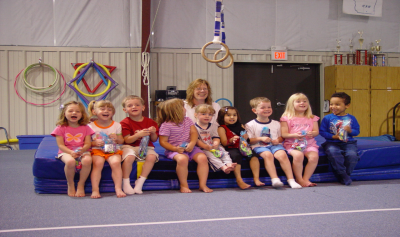 To meet the needs of today's families, CSA Kids also offers gymnastics and creative movement classes to 2 1/2 to 5 year olds at daycare's and preschools in Walworth and Rock Counties. These classes are taught right at the daycare or preschool on a weekly basis throughout the year. This allows more children to benefit from these physical activi-ties. CSA Kids offers classes at many of the public schools in Walworth and Rock Counties. CSA Kids offers a physical fitness class de-signed to meet the needs of home schooled children and their families. The Summer Fun Camp is held June thru August. For 5-12 year olds. Register by week or sign up for full or 1/2 days. CSA Kids also offers Spring Camps and Christmas Holiday Camps. 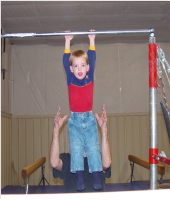 Throughout the year CSA Kids offers many spe-cial workshops for high school gymnasts. CSA Kids has its own 90 degree warm water teaching pool and has the best Gym in Rock county with in-ground pits, 2 tram-polines and much more. 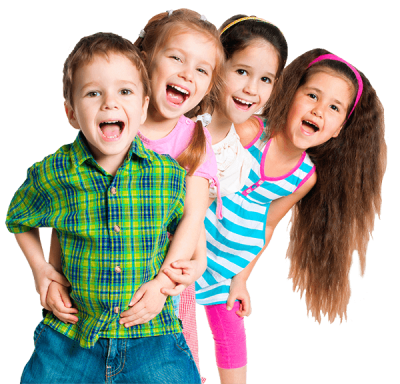 The Dance moving Center is great for all of our dance classes and the party rooms are awesome for your child’s very special day. For active students and the general public. The open gym is for 6 years and up and indoor playground for walking to 6 years with their parent. CSA Kids Sports N’ Stuff Gift Shop. The shop offers Gymnastic leotards, shorts, T-shirts, Swim items, leotards, tights, ballet shoes, tap shoes, and jazz shoes.